As a digital nomad, there’s nothing worse than having to head out to go find fast, reliable Internet after returning from a day of exciting tours. Earlier this year I was faced with exactly this problem while on a two and half week family trip to Turkey. Due to the fact that this was my family’s first international trip, a lot had been planned and I wanted to be part of as much as possible, however I still needed to do some work on days when I was free, and in the evenings. I knew I’d be tired after long days that were jam packed with activities, but my work comes first. Even though most hotels promise free WiFi, a lot of the time the free wifi is not fast enough and not reliable. Not only can it be slow, capped, and have additional costs, but it is less reliable without a VPN, making not as safe to do financial transactions. Understandably, free hotel WiFi is often only used by travellers to upload a few images to social media, message family and friends back home, and occasionally check emails. But I was dealing with logging into client accounts, and having to check my online banking to make sure clients have paid me, so reliable Internet was a must. Not knowing how easy or how difficult it is to get a nano SIM card in Turkey, I spent hours trying to inform myself on the best cellular service providers, data packages, and where to buy everything. There were so many mixed reviews that I quickly gave up on getting a nano SIM for my phone. Feeling awfully deflated and a bit panicked, I went on to search for mobile data services and found my answer. Started in 2014, this hotspot rental company solved all my problems, had excellent online reviews, and met all my requirements. I quickly ordered two of their devices and headed to Turkey for what became an incredible vacation. 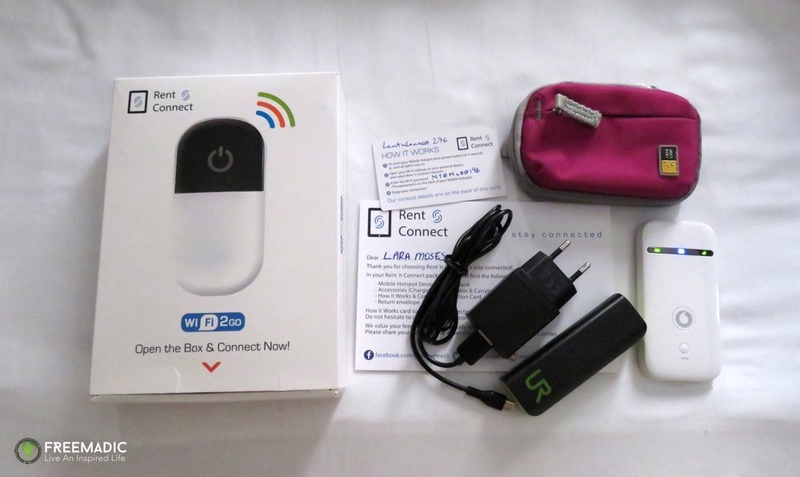 Mobile Hotspot – For the entire duration of my trip, Rent n Connect provided me with a mobile hotspot that gave unlimited amount of 3G. It was fast, reliable and efficient. Small enough to fit in my day pack or pocket, I had 3G throughout my trip making working a breeze. Not only could I connect my devices to it, but my family could too which made it so useful when the hotel WiFi was horrible. Hotspot with Digital Guide – Even though we’d been booked on a 17 day tour, we had a few off days and wanted to explore the 10 cities that we visited. The Hotspot with Digital Guide came in the form of a tablet installed with the guide. 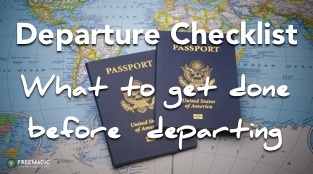 We often referred to it when looking for a place to eat, grab a drink, or visit some a tourist attractions. And when I had issues with the Mobile Hotspot the tablet became my backup device. Delivery – Conveniently the devices were delivered to my hotel in Istanbul in a neatly packaged box along with charging cables, storage bags, instructions on how to use them, and return packaging. 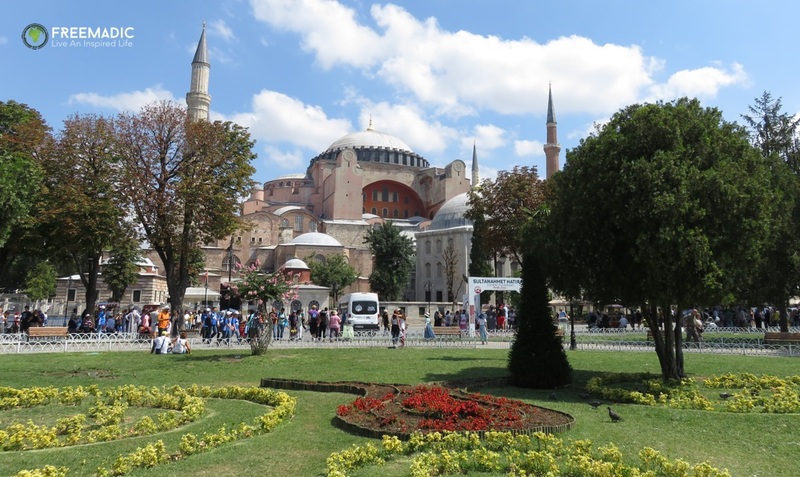 At the end of my stay in Turkey, I had the option of leaving the devices at the reception of my hotel or dropping it off at a specific location at the airport – I opted for the airport drop off so I could work for a few hours before my flight. The entire system worked seamlessly, and I didn’t once need to go out of my way to drop off or fetch devices. Reliability – Not only was the Internet fast, but it was also secure. I could slip the devices in my daypack, and constantly be connected while on an overnight bus, poolside at the hotel, or just while exploring the city. I was able to do all my work with the peace of mind knowing that I was not sharing a public network. Customer Support – I unfortunately needed to use Rent n Connect’s customer support once when during the first week of our trip, the Mobile Hotspot refused to charge. I emailed the company and they replied in less than an hour with step by step instructions on how to fix it, and a promise that if I couldn’t fix the problem that they would replace the device. My overall experience with Rent n Connect was an effortless one. They catered to all my connectivity needs, and made getting a reliable Internet connection a simple and enjoyable process. I’d definitely use Rent n Connect again when I next visit Turkey. To get your mobile hotspot in Turkey, visit the Rent n Connect website.